Whether your job title is Recipe Developer, you are looking to expand your flavor palette and/or your bored on Saturday afternoon, learning how to develop a recipe can be beneficial. We’ve all seen the format of a recipe, with all including a title, yield (servings), ingredients list and directions/preparation/method, but knowing how to format and create an honest, original recipe takes time and some planning. Yet, I know you’re up for the challenge. While the above mentioned are necessary to include in every recipe, adding the prep and cooking time can also be helpful, helping readers to allocate the appropriate time. The following list is not an exhaustive list, but a starter list of what kinds of ingredients should be on hand to help you navigate through the flavors. Obviously, depending on what type of cuisine, equipment and time you have will dictate what kind of materials you are stocked up on. Keep on hand: sea salt, black peppercorns, dried red chilies, stock cubes, fennel seeds, dried oregano, bay leaves, capers, anchovies, red and white wine vinegar, dijon mustard, tinned tomatoes, cannellini and black beans, chickpeas, dried mushrooms. puy lentils, risotto rice, quinoa, polenta, spaghetti, penne and nuts and seeds. Regarding the fridge, there’s no such thing as too much parmesan cheese, unsalted butter, eggs, pancetta, garlic, red onions, celery, spinach, flat leaf parsley, carrots and milk. If you’re asking for a complicated method of prep, spell it out. If there recipe has multiple components, such as a recipe for cookies and separate ingredients are needed for the glaze that will be drizzled on the cookies, separate and title ingredients into two sections or more. Once recipe’s ingredient list and directions are finalized, add a snazzy title that encompasses what the recipe is and consider adding a short introduction, explaining the background on how the recipe was made or how the recipe can be best used. Furthermore, I’ve drawn inspiration from Niki Segnit’s The Flavour Thesaurus: A Compendium of Pairings, Recipes and Ideas for the Creative Cook. This book is a food lover’s dream! Not only does this essential culinary reference share food pairings that are out of this world, but it can ignite flavors that you didn’t realize need to be together! 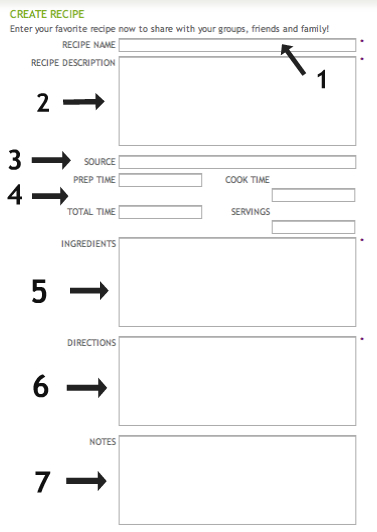 Secondly, I appreciate Better Recipes sharing the template they use to create recipes. It’s straightforward and simple, yet covers all the necessary bases. The above directions and tips may seem overwhelming, but creating recipes takes patience, a creative mind and the appropriate kitchen tools. You’ll want to test your recipes multiple times to make sure the instructions are clear, without grammar mistakes and follow a logical sequence. Sometimes you can catch mistakes in written text when they are accompanying the physical action. 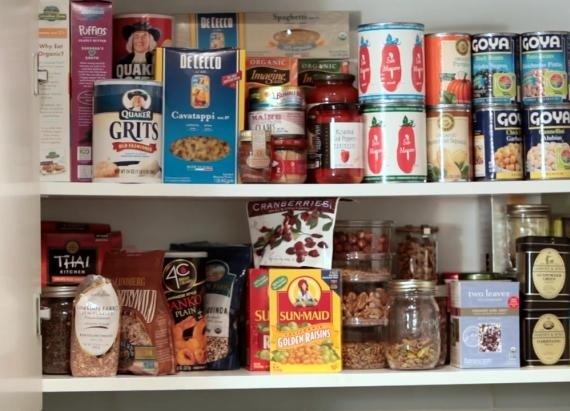 What pantry and fridge staples do you always have when making new recipes in the kitchen? How do you go about creating your recipes?